Inspire 2 drone. Polar Pro filters. TONQUU 360° Flip Camrea Drone. TONQUU Bounce Car. 1Pc Drone. Folding arm, easy to carry and storage. 1Pc Screwdriver. 1Pc USB charging head. 2Pcs Landing gear. 4Pcs Fan protection cover. 5 out of 5 stars - DJI Mavic 2 Pro - Hasselblad Camera - HDR Video - Brand New! 15 product ratings15 product ratings - DJI Mavic 2 Pro - Hasselblad Camera - HDR Video - Brand New! 1 x RC Quadcopter. Gimbal: 3 Axis. 1 x Gimbal. - With Pointing flight feature,the drone can fly to the point you touch. - Autopilot options: automatic take-off landing, way point flight path planning, tap to fly on map, circle an object on the ground. DJI SparkDrone Fly More Combo. CREATE WITH EASE. QUICK LAUNCH. With Face Aware, Spark lifts off from your hand by recognising your face. Shoulder Bag. You Will Receive. 1 Quadcopter drone. HD image transmission. 360 degree roll. we will try our best to help you. MV production. 1 Screwdriver. DJI Phantom 2 Drone.Condition is Used. Currently not working but has all new parts to put it back together. Has circuit boards, motor, propellers, soldering kits, wiring, and new shell. Value of the full kit is worth up to £1200 new. Dispatched with Royal Mail 2nd Class. 4 Channel which can do ascend, descend, forward, backward, left sideward fly, right sideward fly and rolling 360°. With foldable arms, small size, easy to carry. It have 3-level flight speed to switch that can make more fun with the flying. DJI Spark Air Fly More Combo Camera Drone - Yellow. Condition is Used. Dispatched with Royal Mail 1st Class. DJI Lightbridge Full HD Digital Video Downlink. Condition is New. Dispatched with Royal Mail 2nd Class. Condition is Used. Due to it being in the box, I don't see why it should not work fine when a new battery is added, but I cannot promise that. New ListingXiaomi Mi 4K Drone NEW. 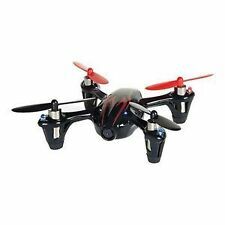 FPV 30fps Camera 3-Axis Gimbal GPS RC Drone Quadcopter. 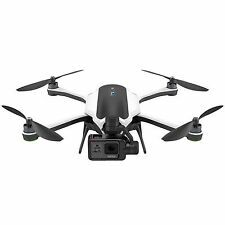 Xiaomi Mi 4K Drone WIFI FPV 30fps Camera 3-Axis Gimbal GPS RC Drone Quadcopter. This item is brand new and boxed. The box has been opened however the drone and all accessories have never been removed from the box. Item will be sent insured via courier 3 day delivery within mainland uk only. Please contact me prior to bidding for postage and packaging outside of mainland uk. 5 out of 5 stars - Xiaomi Mi 4K Drone NEW. 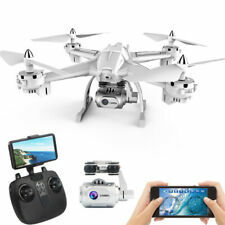 FPV 30fps Camera 3-Axis Gimbal GPS RC Drone Quadcopter. 1 product rating1 product ratings - Xiaomi Mi 4K Drone NEW. 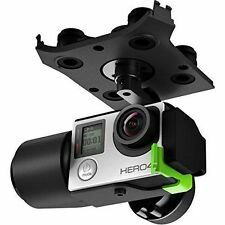 FPV 30fps Camera 3-Axis Gimbal GPS RC Drone Quadcopter. Quadrocopter Drohne DJI Phantom 4. Zubehör und Zustand sind auf den Bildern zu sehen. Zustand: Gebraucht - sehr gut erhalten, erst 16 Monate alt und kaum genutzt. 16 Monate mit viel Zubehör - 1 Rucksack. DJI Phantom 3 Quadcopter Drone st an da rd c om es w it h 2 batteriesa nd c ar ry c as e.
DJI Spark Fly More Combo Camera Drone - Red. Condition is used. There is a small mark on the gimbal it does not affect the camera at all but please see photos. The blades attached have some marks but there is a new set that are unused which will be included. Includes original box, bag, 2 batteries, guards charger. IT'S PARROT BEBOP 1. ALL OF THEM BEEN FLYING AROUND 15 MINS. IM NOT SURE IF THIS IS NORMAL OR NOT. DJI Mavic Pro Remote Drone - (Used). This DJI Mavic Pro Remote is in near perfect condition. It has been tested and verified by our technicians to be in excellent condition. NO REMOTE CABLES INCLUDED with this item . Trending at ILS 413.31eBay determines this price through a machine learned model of the product's sale prices within the last 90 days. Very nice top quality drone goggles by DJI model G1S in white. They are in used condition and fully function as designed. THE DRONE POWERS ON. THIS DRONE WORKS FINE. We keep records of every item sold condition report and fault found during inspections. CLEAN ORDER. SEE PICS FOR CONDITION. DJI Mavic PRO 4K Drone In good working order. It has the Odd small mark if you were being very very picky (one on the top of the cam and one on the leg). fully insured postage comes with: drone remote 1 x battery car charger house charger 4 way charge adapter carry bag Extra storage bag as I felt the DJI one didn’t offer much protection the car charger has a part cracked off as it got trod on by the kids on holiday but it still works fine Comes from a smoke free home Dispatched with Royal Mail 1st Class. 1 Quadcopter drone. One-key Taking off/Landing/Stop ---One-key operate and gravity sensor mode makes the operation more convenient and it is very suitable for novice operation Cheap drones with all these unique high-value experience functions. 3dr Solo Professional Drone WITH LOTS of extras! BARGAIN! Includes GPS Tracker. Condition is Used. Dispatched with Royal Mail 2nd Class. Includes 3 batteries and a Rewire GPS tracker unit just in case the worst should happen. Happy bidding. 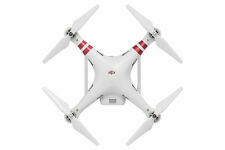 DJI phantom 2 Drone, has a handset, spare propellers, camera, battery and instructions. Used once. Gimbal: 3-axis. You can also take full panoramas. Drone Battery: 11.4V 3000mAh ( Included ). 1 X Gimbal Protector. HD WiFi Video Transmission. 1 X User Manual. 1 X RC Cable (USB Type-C Connector). 1 X RC Cable (Standard Micro USB Connector). Condition is Used. Perfect working order. Bought as xmas gift but got board of it. Can be seen working. Also has upgraded propellers for quieter flight. DJI alpine white spark drone. - usb adaptor for micro sd card. - micro sd card. Quadcopter Battery: 3.7V 500mAh Lipo(Included). The quadcopter fuselage is made of high strength and resistant engineering plastics,lightweight and durable resistance. 4 Channel which can do ascend, descend, forward, backward, left sideward fly, right sideward fly and rolling 360°. Condition is Used. This is my first DJI drone. This is a perfect starter DJI. The batteries are both less than 6 months old and have 95% battery efficiency. 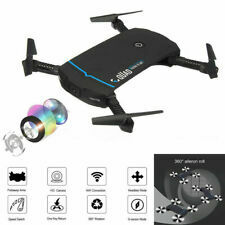 Type: RC Drone Features: Radio Control WiFi Camera Functions: Turn left/right,Up/down. Remote mode: 2.4GHz Age: Above 14 years old Material: Electronic Components,Plastic. WIFI FPV system allows real time image transmission with WIFI connection between the quadcopter and your phone. HD camera with high mega-pixel, give you a clear view as you were just there. With phone holder, you can hold your phone on the transmitter conveniently. Throwing flight function and 360 degree rollover makes you more enjoy the fun of rolling. 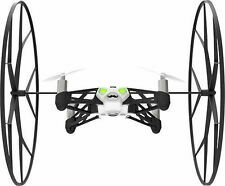 Overcharging protection and memory function keeps the quadcopter safe and easier to play. .
Trending at ILS 2,147.41eBay determines this price through a machine learned model of the product's sale prices within the last 90 days. Battery: 7.4V / 3200mAh. Colors: White. Lights: Red, Blue, and Green LED Lights. DJI Mavic Pro Gl200a Camera Drone Gray "plus an Additional Battery"